So you have got rank in JEE Main but not good enough to make it for JEE advance and now wondering what to do?? ?What will happen to my engineering dreams? etc. Well, I would take it as a positive, as you still have many options to choose from. Just think about it, In 2014 more than 13 lakh students sat for the JEE Main exam this year and you are among the few thousand who will be eligible to get admissions in NITs and other good engineering colleges that take admission through JEE Main. Isn’t it good? I think it is very good and you have a bright future ahead, if you know what you can do now. No doubt that IITS are one of the finest institutions offering engineering and technical programs in India but there are many more good engineering colleges that offer opportunities to learn and offer good placements to its students. Let us look at some interesting facts. In last 2-3 months 2 Indians have been chosen to head 2 companies from the Fortune 500. Satya Nadella now heads Microsoft and Rajiv Suri Heads Nokia and they both completed their engineering from Manipal Institute of Technology, India. Last year Delhi Technological University student got a salary of 93 Laks pa, Yes you read it right, 93 lakhs per annum offered by Google. Indian Institute of Information Technology ( IIIT) Hyderabad student got a salary of 67 lakhs per year in 2012. E Sreedharan , the metro man of India did his civil engineering from Government Engineering College, Kakinada ( Now JNTU), and joined Indian Engineering Services. Kalpana Chawla, the famous astronaut did her BE Aeronautical from Punjab Engineering College. Chandra Mohan co founded Punjab Tractors and is a B E Mechanical from Punjab Engineering College. Some of the success stories in recent past like redBus was founded by BITS Pilani alumnus Phanindra Sama. Like that there are so many successful engineers from IITs and also from different engineering colleges but there is one common thread. That common thread is that perhaps all of these people were meant to be in their chosen field and that they had the right aptitude to excel in their field. So, if you think that you have the aptitude and personality of an engineer and are willing to give your best efforts, Make the right choice in terms of the engineering college and more importantly in terms of the branch of engineering that you are suitable for. If you have it in you then even if do not make to an IIT you can still do very well in your life. I think that is most important, isn’t it? 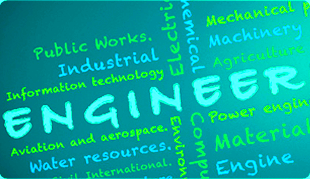 Find out whether you have the aptitude and personality to be an Engineer ! !